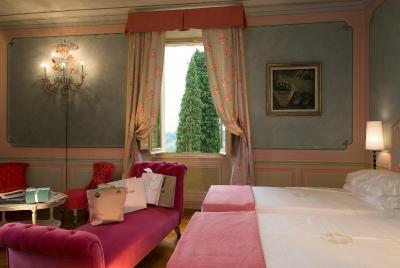 Lock in a great price for Villa la Borghetta Spa Resort – rated 8.5 by recent guests! Beautiful views. Front desk staff was very friendly. Location was perfect for going to some of the nearby castles for wine tastings. Very comfortable beds. This is an amazing location. Quite , beautiful and charming. Staff was friendly and very helpful. Loved it. The staff at the restaurant was lovely and food was good for lunch. 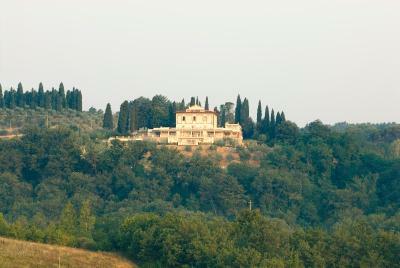 Great little Villa in Tuscany, seems to be where Italians enjoy staying with very few tourists usually. This makes the experience a little more authentic! They were extremely accommodating to our requests, particularly given we were on our honeymoon. The restaurant serves quite good food and the pool was great for lounging in on a hot day. Staff are generally quite nice and happy to help. Frederico (one of the chefs) held our cooking class in the restaurant kitchen, which was extremely fun. You are shown how the restaurant make different types of pasta to serve and then this is cooked up for you to try the pasta you made. Excellent hotel and value. great spa, great breakfast . Spa, sauna and treatments were great, dinner was outstanding. I stayed here 7 years ago and I love this place . Planning a trip back in 2018. 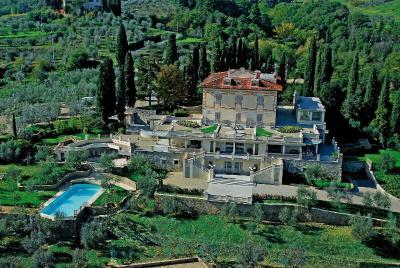 Beautiful location at the heart of Tuscany with friendly staff, great rooms and a nice swimming pool overseeing the valley. Exceptional views and great service and facilities. 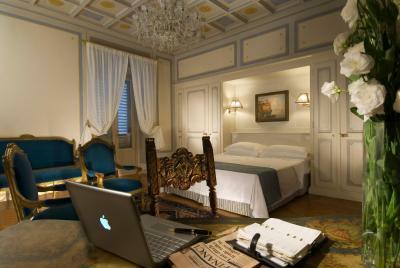 The rooms are very spacious and well decorated. 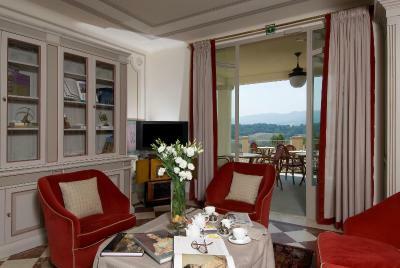 Villa la Borghetta Spa Resort This rating is a reflection of how the property compares to the industry standard when it comes to price, facilities and services available. It's based on a self-evaluation by the property. Use this rating to help choose your stay! 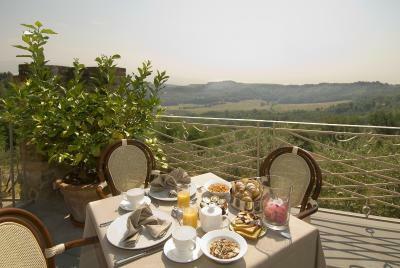 Set on a beautiful Tuscan hillside, halfway between Florence and Arezzo, Villa la Borghetta Spa Resort offers you stunning views, beautifully decorated interiors, excellent service and an on-site spa. 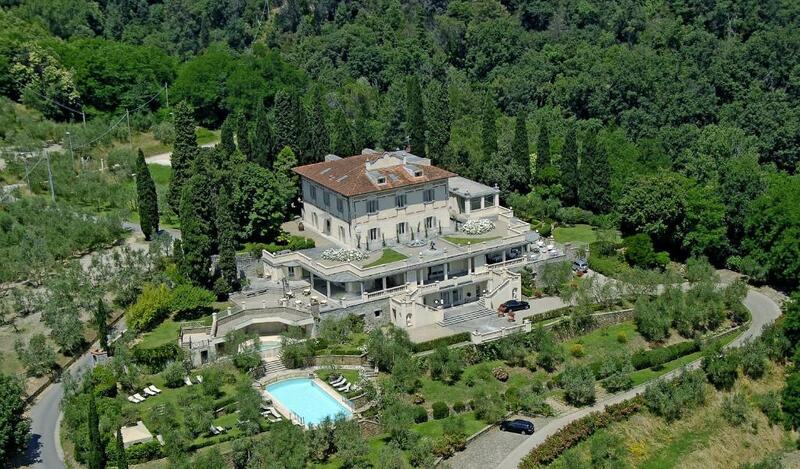 Villa La Borghetta originally dates back to the 14th century and was built by the local nobility. 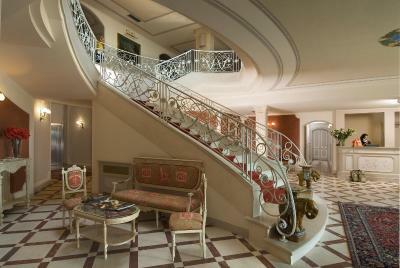 Restored in the 19th century, you can admire frescos and classical furnishings in rooms and lounges. 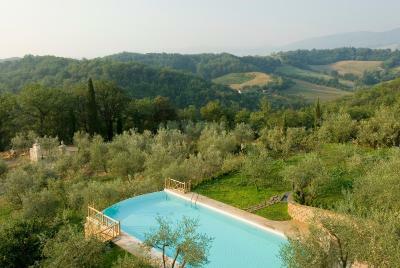 All of the rooms offer unforgettable views across the Chianti countryside, and you can also enjoy these views from the terrace and the outdoor pool and hot tub. 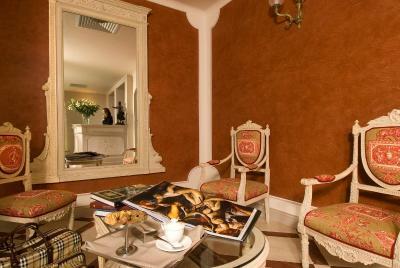 Relax and enjoy a variety of beauty treatments in Villa La Borghetta's spa or set off to discover the surrounding area. 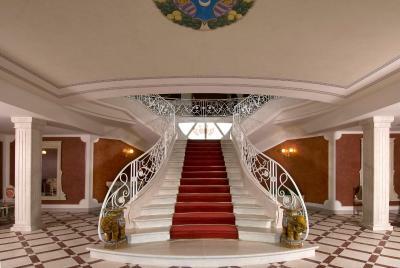 Staff can organize designer shopping trips, tours to vineyards, cooking lessons, sports activities and more. Enchanting Tuscan villages are just a few minutes' drive away. 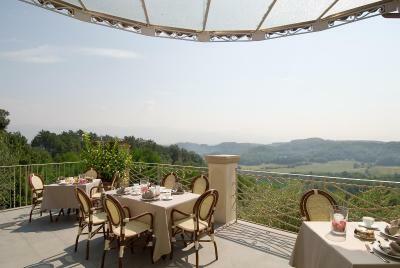 Villa la Borghetta Spa Resort's restaurant has a large elegant hall with views over the countryside as well as a more casual dining area created from the villas old wine cellar. 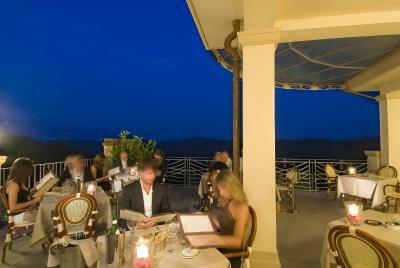 Expect gourmet Tuscan cuisine. 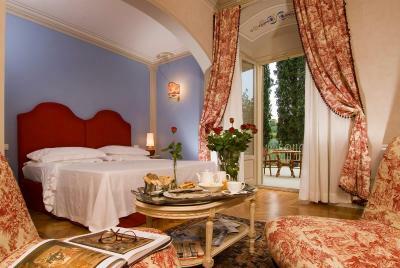 When would you like to stay at Villa la Borghetta Spa Resort? This suite features air conditioning, mini-bar and satellite TV. 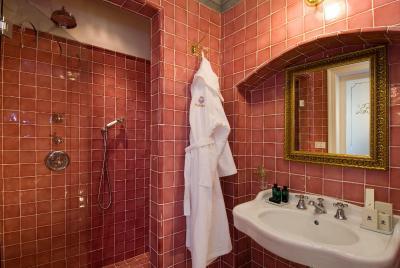 House Rules Villa la Borghetta Spa Resort takes special requests – add in the next step! 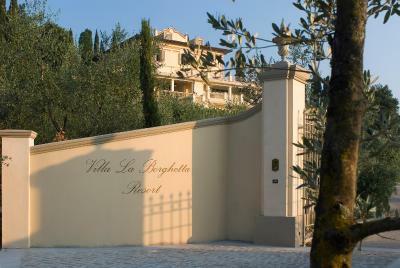 Villa la Borghetta Spa Resort accepts these cards and reserves the right to temporarily hold an amount prior to arrival. I feel like the food dinner and breakfast could use some help. Food was ok but I feel they were trying too hard and it was just ok. Ordered a Ravioli dish and received 4 ravioli"s. The presentation was nice but not really very good. The front desk manager was not a pleasant person when we checked in but he was slightly better when he checked out. We asked for an iron and ironing board from the desk and it felt like such a chore to him. The Hotel did not have any ironing board. The bathroom tiles was mouldy. There was lots of mosquitoes in the hotel and I did not see any measures in placed to prevent them for infesting the outdoor areas. The housecoat distributed to my family, one did have yellow stains on it. Hard to get to and the staff weren’t overly welcoming. The restaurant was underwhelming - to the point we went to town for pizza after dinner. You must have a car if you stay there. 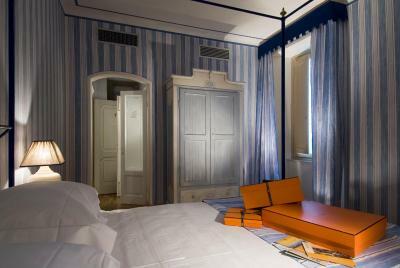 While the rooms muffle sounds they are not sound proof. Additionally, no AC until June so we had to sleep with the windows open and workers were on the veranda below us talking/making noise until around AM. 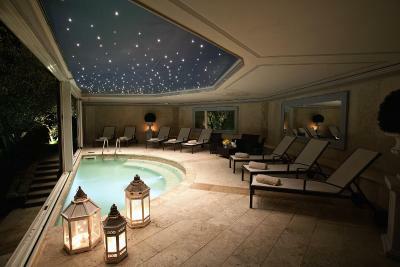 Comfortable spa experience, fantastic views. No outside dining offered in spite of beautiful patio area. Could still be used in rain as under cover in main area, could be magical with amazing views, candlelights and background music, excellent food but lacks atmosphere in restaurant. 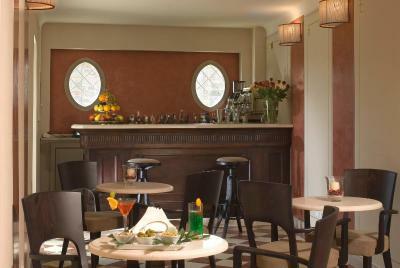 No communal bar area in poor weather. Breakfast could be better. 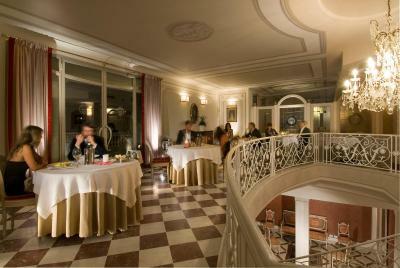 Excellent restaurant, great food, beautiful hotel. Very Friendly , and Very beautiful and clean!